The Egyptian Ministry of Antiquities announced the discovery of an unusually large and intact ancient tomb in the city of Alexandria dating back to the Ptolemaic period, more than 2,000 years ago. It was found by workers digging the foundation for a new building. In order to do construction work in most places in Alexandria, an observer from the Ministry of Antiquities has to be present to monitor the digging associated with the project. On this occasion, one of the biggest sarcophaguses ever discovered in the city was found 5 meters (about 16 feet) below the surface. The rare black granite sarcophagus, which measures about 6 feet high, 5 feet wide, and 8 and a half feet long, had a layer of mortar between the lid and the body of the sarcophagus, indicating that it has not been opened since it was sealed in antiquity, Dr. Ayman Ashmawy, head of the Ancient Egyptian Antiquities Sector, said in the statement published by the Ministry. 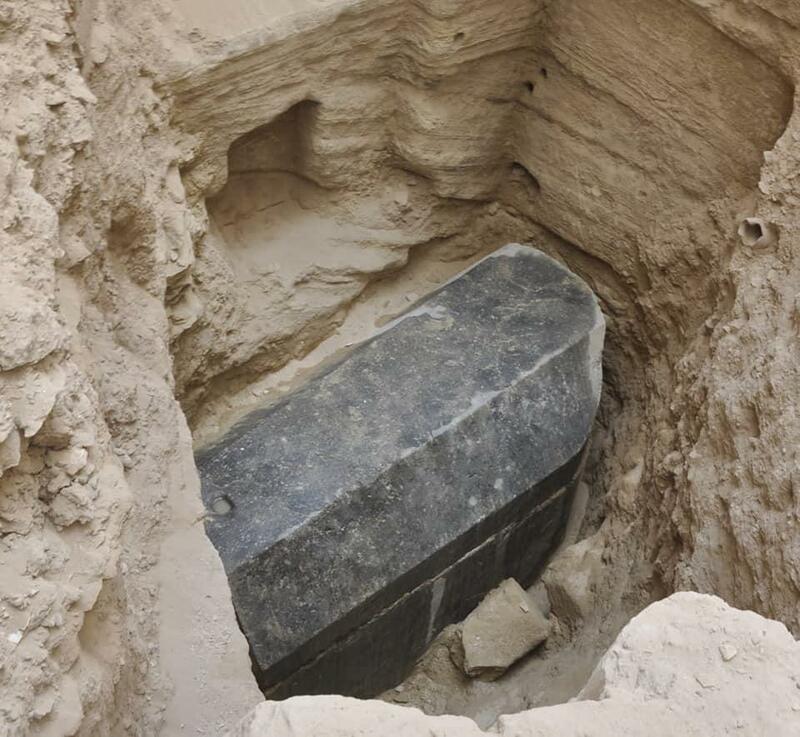 Ashmawy told CBS News that considering the size of the sarcophagus, it might belong to someone important. So far, the person's identity remains a mystery. An unfinished sculpture of a head made of alabaster was also found in the tomb. It most likely belongs to the owner of the sarcophagus, the Ministry said. Officials hope to learn more when the tomb is opened, but that process won't be easy. "It is hard to lift the sarcophagus up as it weighs about 30 tons and the place is very tight, so we might have to open it inside the tomb, lift the lid up first and then lift the body of the tomb," Dr. Mostafa Waziri, Secretary-General of the Supreme Council of Antiquities, told CBS News. "The sarcophagus goes back more or less 2,000 years. We cannot speculate at this point about the identity of the owner, as the exterior of the sarcophagus does not have engravings or drawings. We will have to wait until we open the sarcophagus in the next few days and perhaps the answer lies inside. Maybe his name will be written inside or maybe there will be some inscriptions, and maybe we will find a mummy or wooden coffin, or maybe we will find nothing," Waziri added.